I once had a tie with the periodic table on it and at boring dinner parties I would sometimes be reduced to reading it. 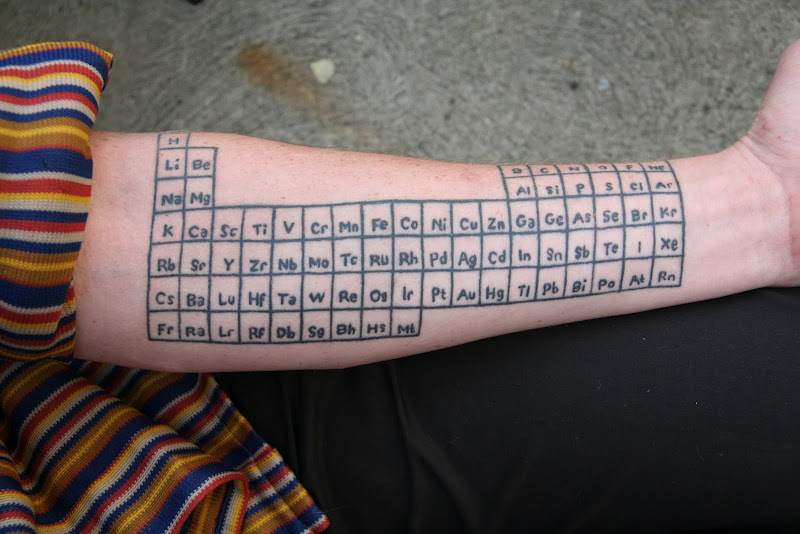 If you had the table printed on your arm, I suppose it would come in useful in Chemistry exams. Looks like someone had a big chemistry test they needed a little boost to pass. Linda Ronstadt used to write answers on her upper thigh and the nuns were too embarrassed to stop her from looking during the test. See, I can work Linda into anything. charley you are the WINNER.... i will be contacting you regarding your FaBulOus prize!!!!! 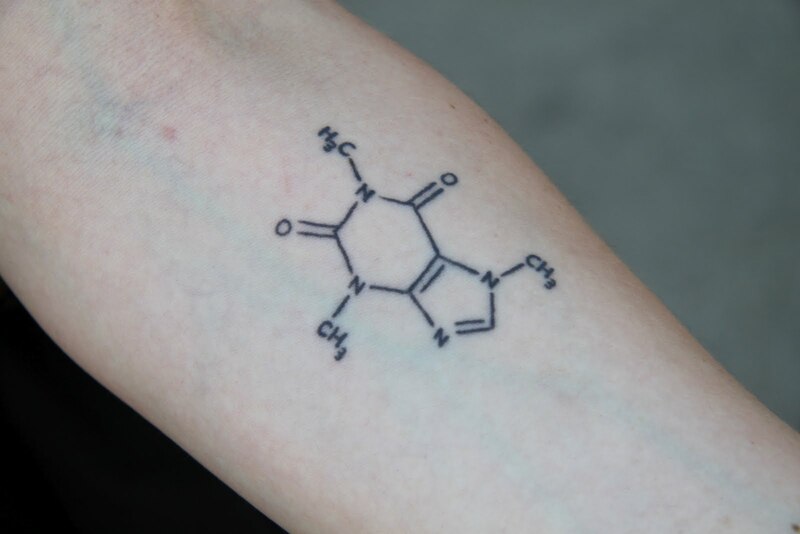 That's a great tattoo -- it looks like the tattooist ran out of steam (or maybe room) on the Lanthanides and Actinides, though! I was going to guess salt on the other tattoo -- oh well. steve - you are very observant!! mm told me that the table isn't complete and he's saving up to finish it....its been years and the tat still is missing some elements! oh well sometimes life happens and ink has to wait!